If you are fascinated by the uniqueness of natural landscapes, make Santorini your next holiday destination and see the caldera mystery close by. Let your eyes wander around the unbeatable views of the volcanic islands and contemplate the enchanting sunset, a spectacle that generates the strongest feelings. Santorini is a perfect destination whether you travel with friends, family or if you want to spend romantic moments with your loved one. You can go both by boat and by plane. Fortunately, in recent years the launch of fast ships has brought the island closer. 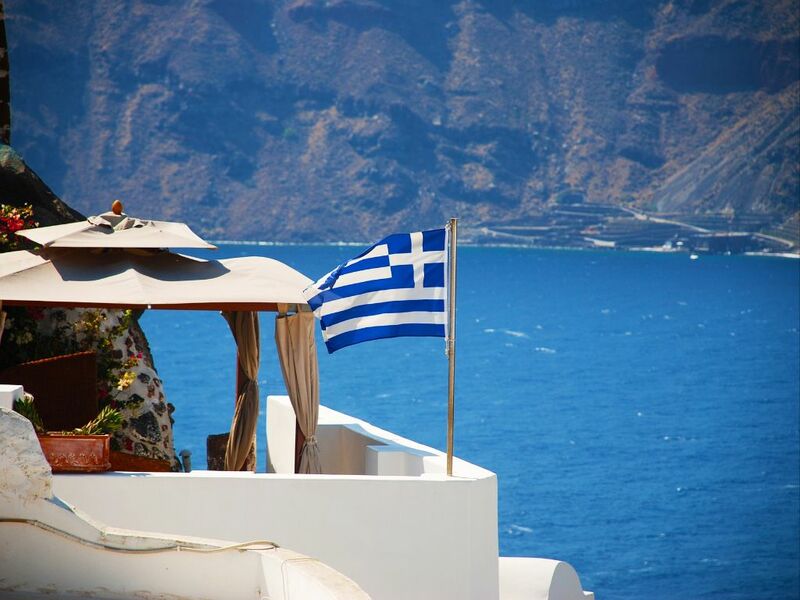 Santorini is connected by air with Athens, Thessaloniki, Crete and the other Aegean islands with flights throughout the year. During the summer season, flights are denser to serve the increased tourist needs, while direct flights are also made from cities abroad. The island has a very good coastal connection. Daily ferry and high-speed ferry connections between Santorini and Piraeus, Rafina, the rest of the Cyclades islands and Crete. The trip takes 8.30 hours with the conventional ship and 6 hours with the speedboat from the port of Piraeus. On foot: There are numerous hiking routes that many people take. By car, or a motorbike: This is the best way to discover the island. By bus: The bus connects Fira town with most of the local villages around. 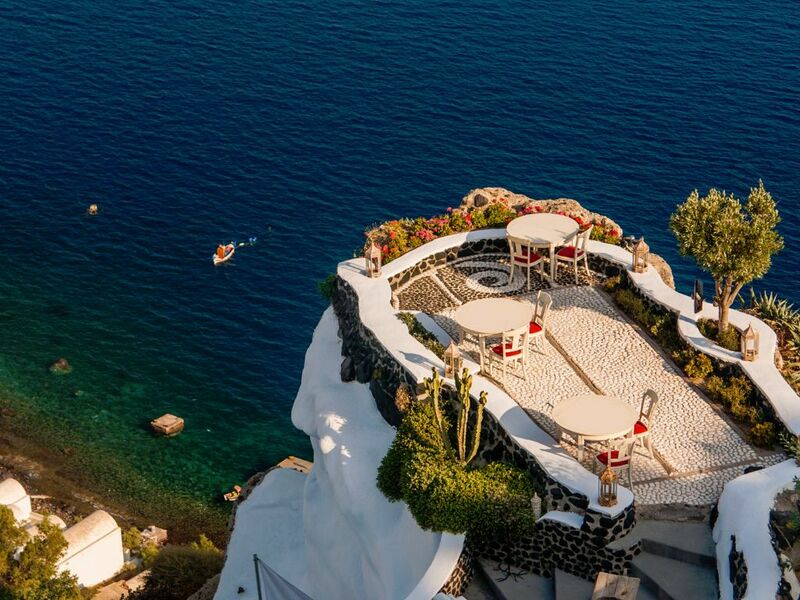 Santorini is a famous thanks to the magnificent volcano with the hot springs and the enormous volcanic caldera, which is the most beautiful place to admire the sunset. Santorini is unique as it is probably the only volcano in the world with its caldera in the sea. There are so many sights that your holidays will not seem to be enough to admire them all. Museum exhibiting various archaeological finds such as vases, frescoes, sculptures & inscriptions. Enclosed archeological site featuring an excavation of a preserved Bronze Age settlement. Ancient Thera is an antique city. It was named after the mythical ruler of the island, Theras, and was inhabited from the 9th century BCE until 720 CE. The lighthouse is not accessible to the public but its surroundings offer magnificent and romantic views of the area. The Venetion Castle was the most magnificent residence of Santorini built by venetian Dargenta Family who were descents of Romanos Argyros, a byzantine Emperor. 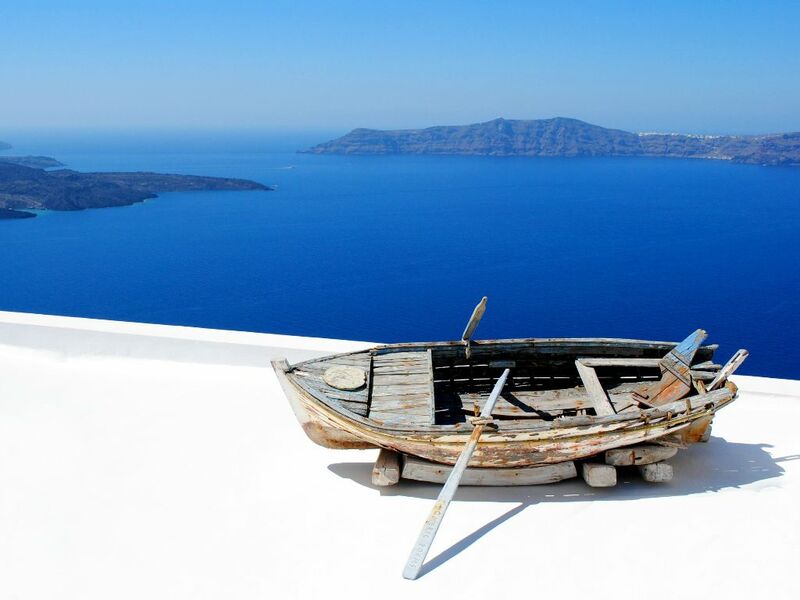 Pyrgos is built amphitheatrically on a hill that offers magnificent views of Santorini in almost all directions. On top of this hill remain the ruins of a Venetian castle. Display cases include minerals and fossils from Thira, the rest of Greece and abroad. Imerovigli is mostly famous for its beautiful sunset, that it is called "balcony to the Aegean". The Museum of Prehistoric Thera is located in Fira town. 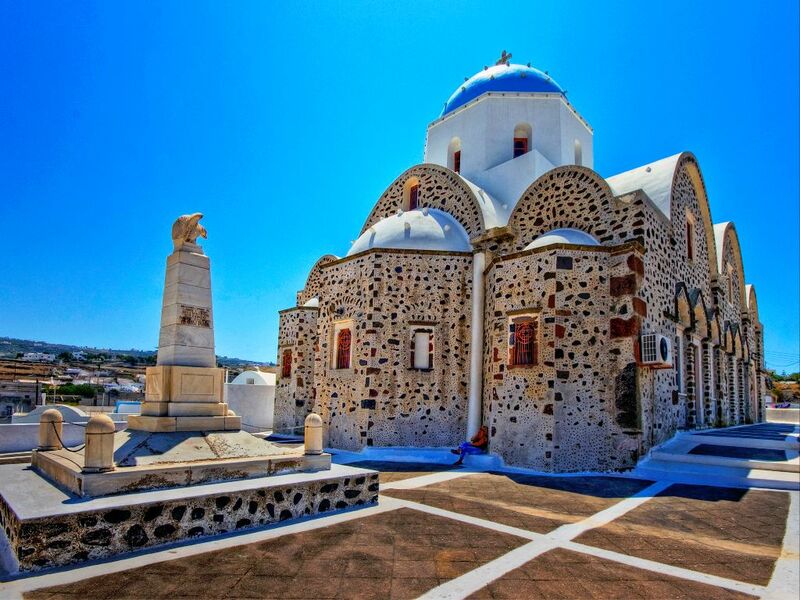 It was built on the site of the old Ypapanti Church which was destroyed in the 1956 Amorgos earthquake. Old Kameni is the small island located in the middle of the bay of Santorini. Nea Kameni is a small uninhabited Greek island of volcanic origin located in the Aegean Sea within the flooded Santorini caldera.